1. Go Monochrome. There is a method to my madness when it comes to monochrome. Yes, I just tend to gravitate towards the color scheme; I'm sure that's obvious given my past posts. Aside from personal taste, I use monochrome color palettes to streamline my outfits for the illusion of elongation. Black is especially effective, as it slims your figure as well. 2. Let your outerwear fall below your hips. We all have those features that we wouldn't mind concealing every now and then. Mine are my thighs. With a petite height comes short legs, so I count on oversized outerwear to give me a little boost. This sleeveless trench is one of my favorite pieces because of its versatility and functionality. I can layer it over almost anything, and immediately it slims down and elongates my figure. Not to mention it's just a pretty cool piece of outerwear. What do you think about most when shopping for your wardrobe? Let me know in the comments below! I am always worried about my hips they are so wide so I have to be careful what I wear. There's something so sophisticated about a trench coat. A sleeveless one gives it some edge. I love the ruffles as well. As Ive gotten older, I've definitely taken my body type into consideration. Some things just don't look good -- like boxy t-shirts, which tend to make me look heavier. Great tips. I've been wanting a sleeveless vest like this! Looks fab on you and great tips on how to dress taller! 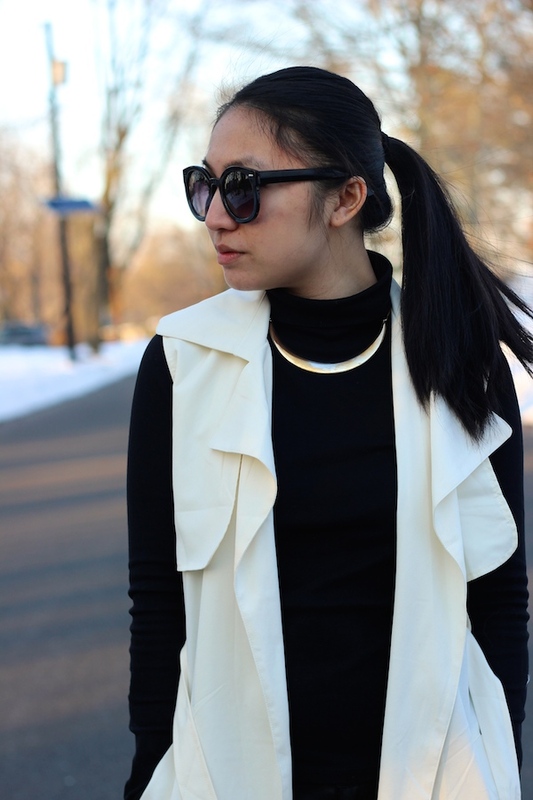 I love sleeveless jacket and this one long and white is amazing, I love it!! The dressing taller definitely looks great on you! 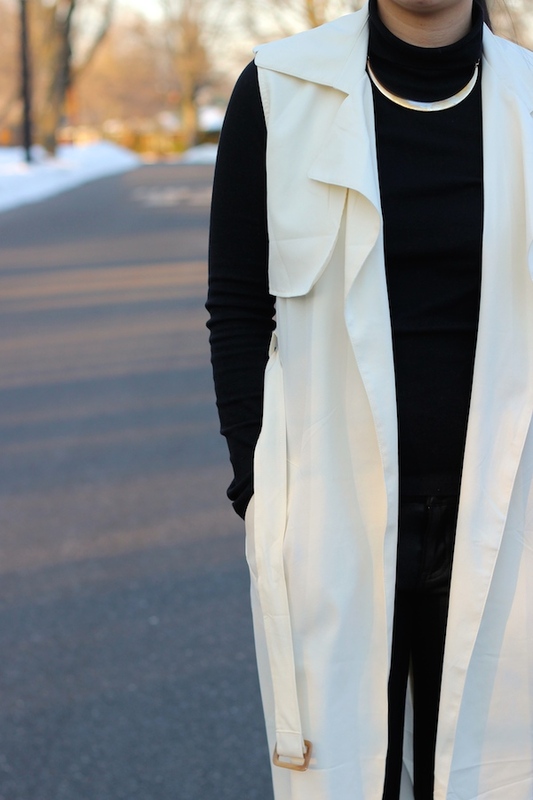 I love how you pair the monochrome with oversized trenches perfectly!